This route allows for an overnight stay in one of the highest huts in the Dolomites, next to the eagles nests. Basic but welcoming, here you can feel the atmosphere of the Alpinism as it once was. Needless to say, sunset and sunrise cannot be described by words. Absolutely magnificent! 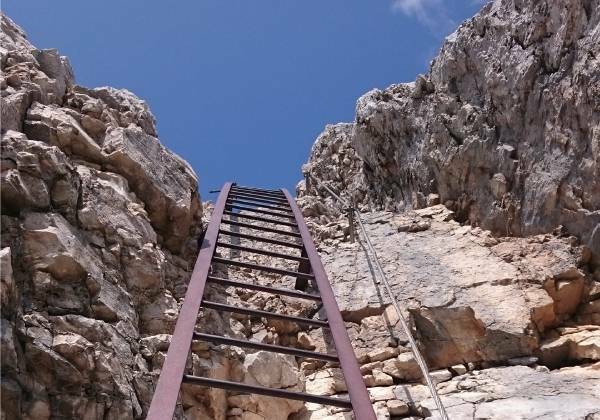 Via Ferrata Alleghesi is the best route to reach 3220m Civetta Peak. It’s an impressive rock wall structure looking over Alleghe lake. Meeting point is at Palafavera – Val Zoldana, from which we’ll slowely move towards Casera Pioda and Coldai refuge. After a short stopover, we’ll reach Tivan path, which will lead us to the starting point. 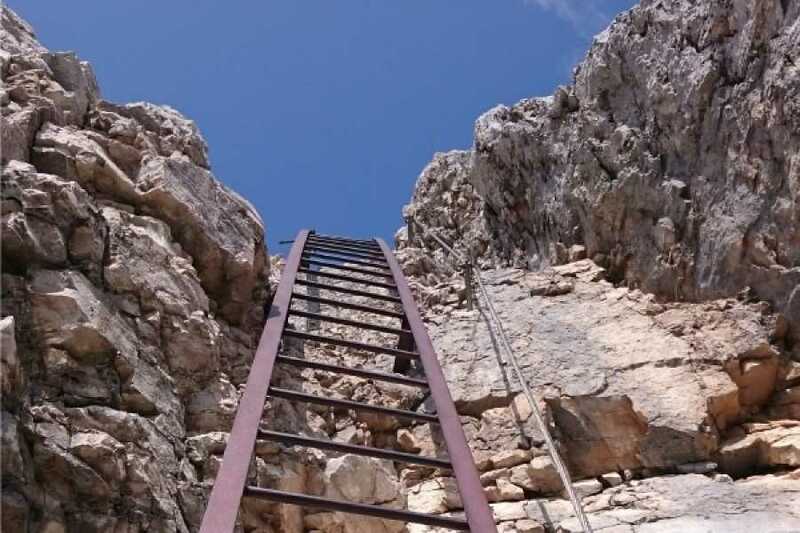 We’ll find ourselves at the bottom of the rock wall, where we’ll buckle up and get ready to climb up the iron rungs, follow the carved steps and edge paths, always accompanied with the breathtaking views. Upon reaching Civetta Peak (not the actual peak) , we’ll have the opportunity to view the North West side, and the rare privilege to be sounded by rock walls on both sides. This magnificent set up allows you to fully appreciate the greatness of these rocks. Looking down you’d realise to have been hanging up some 900m in height, with the rock extending more than 4km in width. A few more meters, and we’ll climb the remaining part of the wall, before finally reaching the final summit. After a break, we’ll start our descend towards Torrani refuge, where we are due to stay overnight. Second day we’ll continue our descent via normal route, mixed with cables and carved steps. After a few hours, we’ll reach Tivan path and Coldai refuge once again. Via Ferrata Alleghesi is difficult, and it requires expert knowledge of via ferratas, allowing you to live the mountain to the full. Number of participants: Min 2 people. If less, cost remains €450.